For those who run online business and have dozens or even thousands of products, managing all products' description may be challenging. A good product description does not mean a detailed one. How often your customers contact you personally to provide them with more accurate information? People will continue asking questions as a lack of information perpetuates doubts. It may cause consumers to abandon purchases. Now you no longer need to spend time while answering or submiting specific questions. Your customers will do it for you. Enlarge your store functionality with the Product Questions & Answers extension for Magento 2. 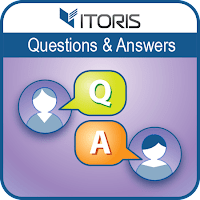 You customers and guests can ask questions directly on a product's page. Users will help each other by answering questions, sharing experience, or giving tips. Let customers share their opinions by rating questions and answers. Thus users will make a quick purchase decision. Admin gets the full control over all questions and answers. You can set either automatic approval or manual one. Edit questions and replies, delete, set status, add pictures, videos to answers, or create your own questions and answers. If you want to limit access of Product Q/A to your product pages, the general settings will allow to show it for customers only. Check out our video tutorial for the Product Q/A extension and learn more about the advantages given to you.